A sword with a short and recurved watered crucible steel blade overlaid in gold with a talismanic square, reserved by foliate motifs and dots. These were applied to sword in the belief that they would provide protection for the owners. The steel hilt, knuckleguard and pommel overlaid in gold with a finial and tassel. 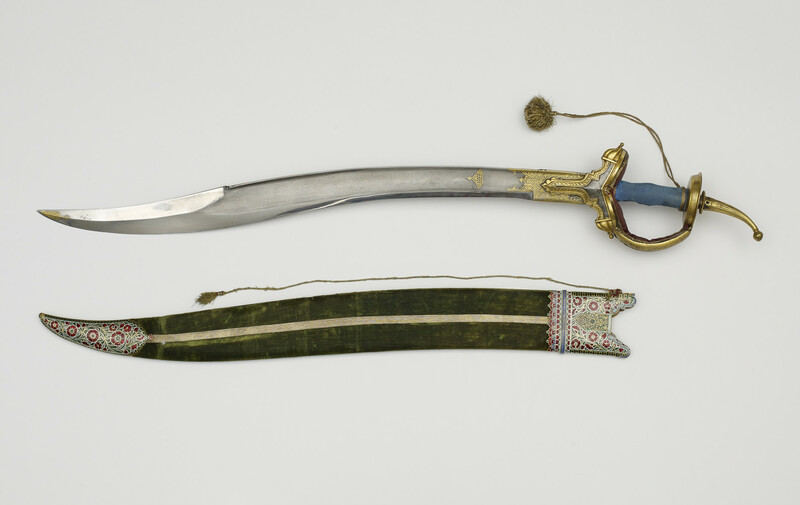 The green velvet covered wooden scabbard decorated with gold mounts enamelled with red flowers on a white ground, likely to have been made in Jaipur.